I’m sure that at some point you’ve been shopping and parked in a tight parking lot – we all have to at some point. As you walk out to your car, and just before you open the door you see an ugly mark that was not there before! You lick your finger and give it a rub, but alas, it’s more than just a bird turd, it’s a scratch!! I know, it’s happened to me and if it hasn’t happened to you, then it’s only a matter of time until it does. Even more upsetting is when someone else asks you “hey, when did you dent your car?” and you both run out to see the ugly little depression left by some careless shopping trolley parker. You both stand there tut-tutting, but really, there’s nothing you can do. It’s a real dent that is not going to come off with Handy Andy or Sunlight and it’s probably going to need a visit to the body shop to have it removed. No doubt the Muppet who pushed the trolley into your car didn’t leave a few thousand Rand either. Thankfully, you can be the one who says:”no worries, I’ve got that covered”. Yip, that’s what Scratch Magic insurance does for you – covers you against those little scratch and dent accidents. Fill in the quick form below and get an quote estimate of how much your premiums will be. We’ll call you back. There are a couple of questions that are vital to understand what scratch and dent insurance cover is, and most importantly, by understanding these, you will be able to see how this product is different from a comprehensive car insurance policy or even an extended motor warranty, and the benefits thereof. Scratch Magic is an insurance product that covers your car against minor dents, scratches and scuffs. What size dent is covered? We have 2 plans that cover smaller and larger dents, see more here. 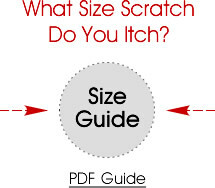 What size scratch am I insured against? We have 2 plans that cover smaller and larger scratches, see more here. Once you have chosen an insurance product, you will be provided with full contact details.